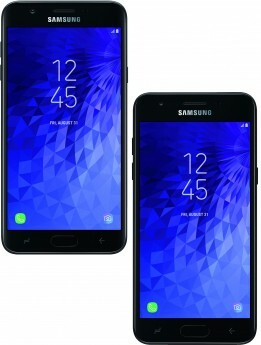 Verizon Wireless today added the Samsung Galaxy J3 to its lineup of postpaid and prepaid phones. The Galaxy J3, announced earlier this month, has a 5-inch HD display, 8-megapixel main camera at f/1.9, and a 5-megapixel selfie cam at f/2.2. The J3 has a 2,600mAh battery and includes Android 8 Oreo, 2 GB of memory, 16 GB of storage, Bluetooth 4.2, and WiFi. It is powered by an octa-core Exynos processor. This phone includes Samsung's Easy Mode UI skin for bigger fonts and icons and offers the Bixby Home app for learned recommendations. The phone is available as the Galaxy J3 V via Verizon's postpaid service for $168, or $7 per month. 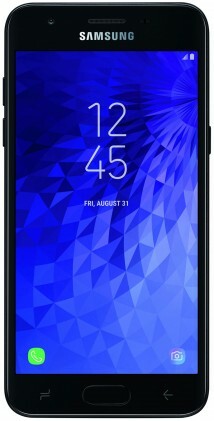 It is available as the Galaxy J3 3rd Gen via Verizon's prepaid service for $124. Both devices include the Samsung Knox security suite. Pricing and availability was not disclosed. Samsung said carrier variants will be announced at a later date.